New Hope of an Old World (2016-2017) by PHUNK, pigment print & collage on paper mounted on plywood. One of the most anticipated art events on the local calendar, Art Central returns to Hong Kong this month for its fifth edition. Widely recognised for discovering and presenting young talent, the satellite fair (which coincides with Art Basel) showcases original artworks across a variety of genres and styles by emerging artists as well as more familiar names. "Art Central has established itself as one of the region's leading events for international collectors, art enthusiasts and the art-loving public," says Charles Ross, the event's managing director. 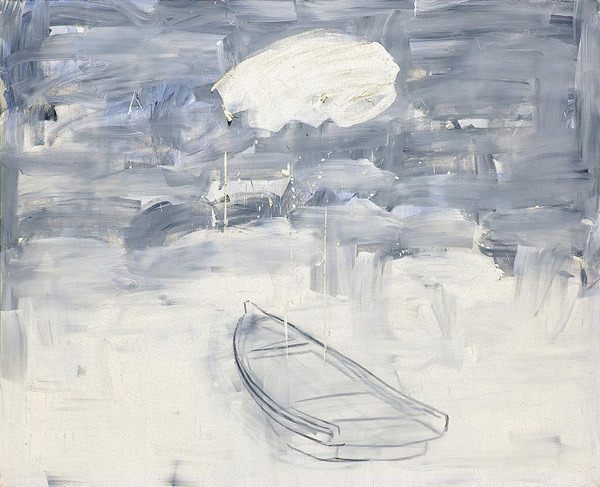 Untitled-91137 (1991) by Lee Kang-so, Oil on canvas, 198 x 244 cm. Expect booths with strong curatorial premises, solo and dual projects that incorporate progressive mediums, and a variety of large-scale installations that challenge the traditional gallery space. At Art Central, you'll find works by pioneers such as Korean painters Lee Kang-so and Suh Se-ok; Chilean artist Fernando Prats, whose exhibition of a complex pictorial process through spontaneous, organic compositions represented his country at the 54th Venice Biennale; and performative paintings by rising Japanese artists including Miwa Komatsu and Yuuna Okanishi. You'll also see an experimental installation by Japanese artist Satoru Tamura, whose latest work Point of Contact for 100 Incandescent Lamps marks the first presentation of the series on display in Hong Kong, as well as the works of reputed Chinese-Singaporean contemporary ink artist Hong Zhu An, presented in Hong Kong for the first time. If you're on the hunt for the latest and greatest in progressive art, Art Central is the place to be. 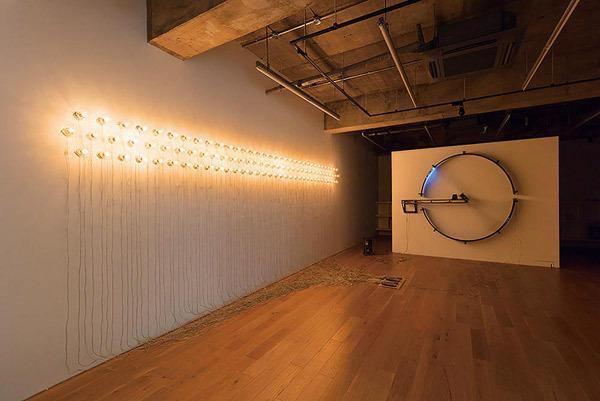 Point of Contact for 100 Incandescent Lamps #2 (2014) by Satoru Tamura.